In part 1, we installed FreeBSD 10.1 on a Soekris net5501-70. Now we're going to plug in a ISDN BRI card, and configure the FreeBSD kernel to use it. I bought a second hand QuadBRI card: the Digium B410P. 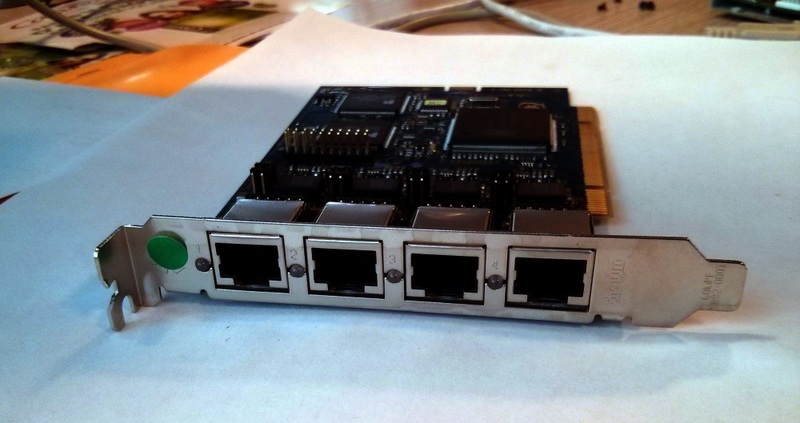 It features a HFC-4S chipset from Cologne and it has 4 BRI ports. 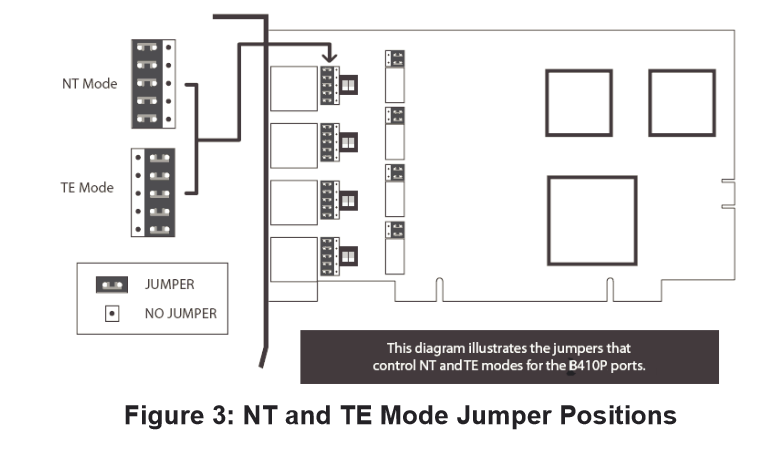 Notice the BRI ports have jumpers, which should be set to the right position depending on whether those ports should behave in TE or in NT mode. I'll be using the FreebSD port of DAHDI. The kernel modules can be installed from the port, as well as the userland binaries. If you load the modules manually using kldload, you'll need to set the correct permission to the /dev/dahdi devices, or asterisk won't be able to access them. This is done by the rc script. The configuration correctly detects the 4*2 B channels (1,2,4,5,7,8,10,11) and the 4 D channels (3,6,9,12). Makes sure you configured to build to have support for DAHDI. If everything's fine, you should be able to call a phone number that should end up in Asterisk, and see in the console that the extension does not exist. You now have a default Asterisk server which can now act as a BRI gateway. * i â ISDN span channel restriction. * Used by CC to ensure that the CC recall goes out the same span. * d â Force bearer capability for ISDN/SS7 call to digital. Since I defined that group with all the card's channels, I should be able to make 8 concurrent outgoing calls. 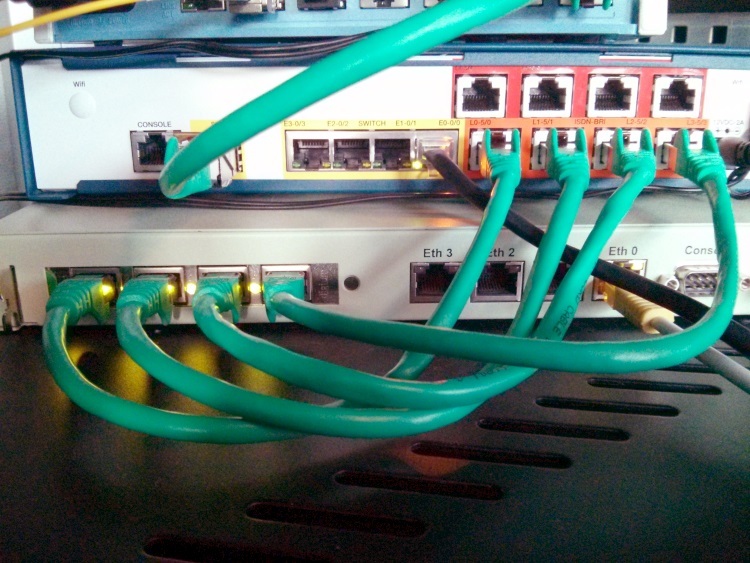 This two part article shows that FreeBSD can be successfully used on a small server as a SIP IPBX with a 4 port ISDN connection. The RAM usage is 64MB when the system is idle, and the CPU doesn't flinch when making 4 concurrent calls. That setup is perfect to make a cheap, low power, very reliable and very customizable small office IPBX. 512 MHz and 512 MB of RAM may seem very little nowadays, but this shows once again that you don't need much when you have good reliable hardware and good reliable software.